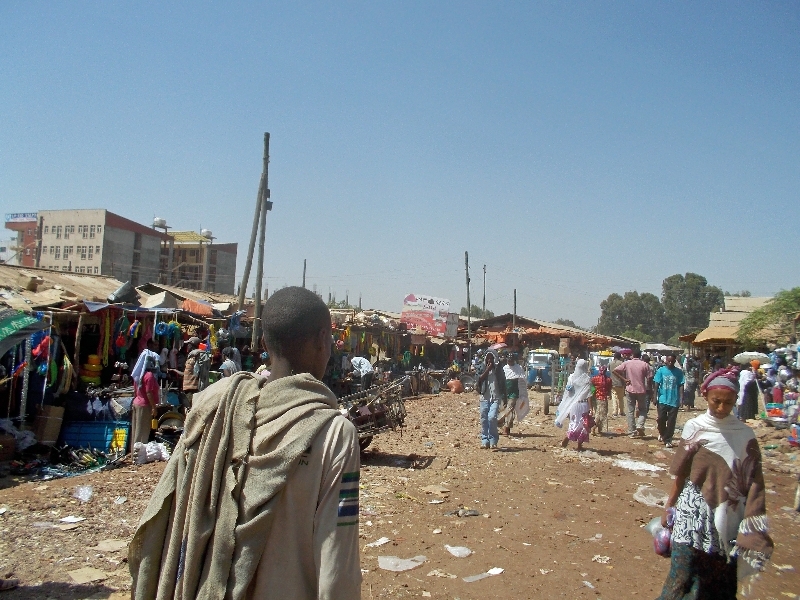 The main streets of Bahir Dar are wide with median separating traffic. 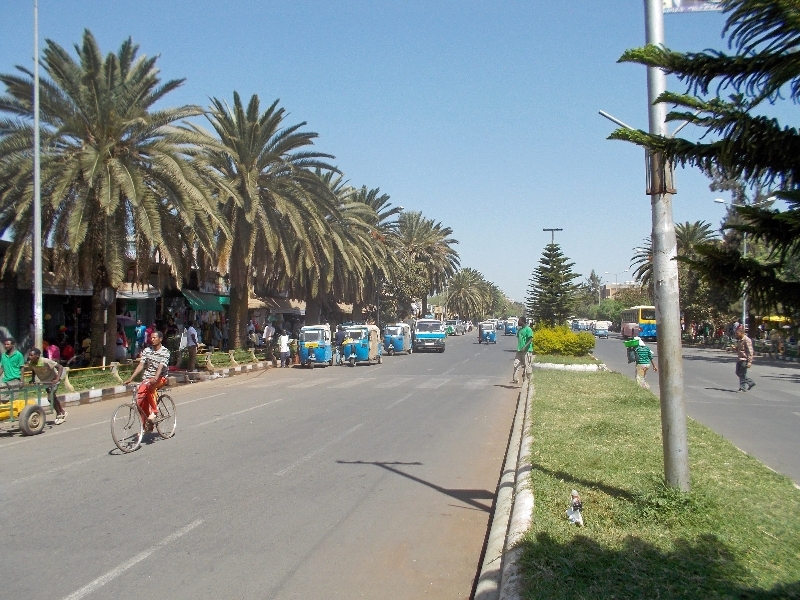 There are sidewalks and even crosswalks that people use, quick a contrast with villages we’ve crossed before. Quite a few different shops, sometimes with shops of a single type grouped together. 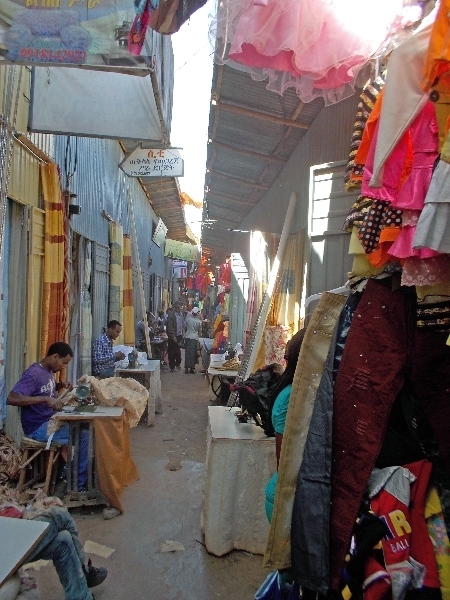 Off the main street I found a narrow “sewing ally”. All these tailors each with their sewing machine. 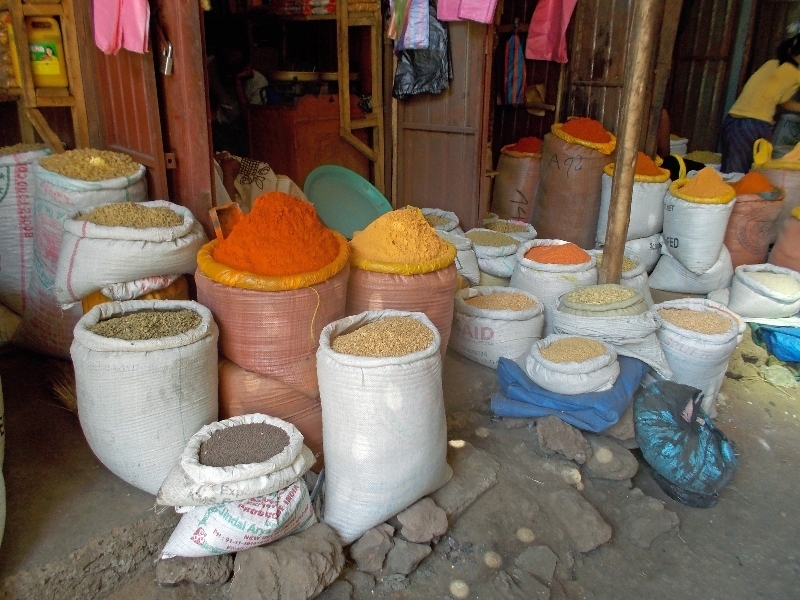 Getting to main market you find more stalls with spices and grains. 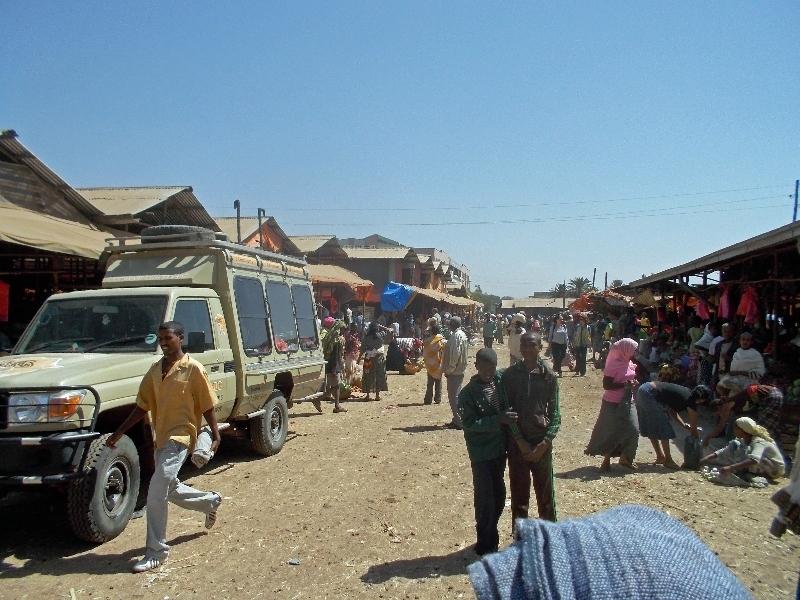 The main market squares open up, a bit dusty and warm during the day. TDA truck parked at left as the cooks are off doing their shopping for upcoming days. Foods they prepare are come from what they find in markets like this. 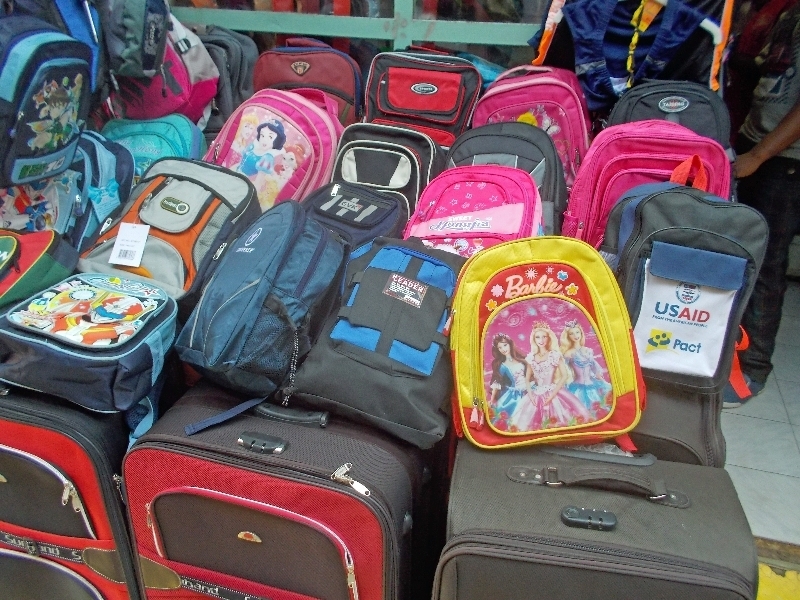 Thought this collection of child backpacks was interesting including a “barbie” backpack and one from “US AID”. 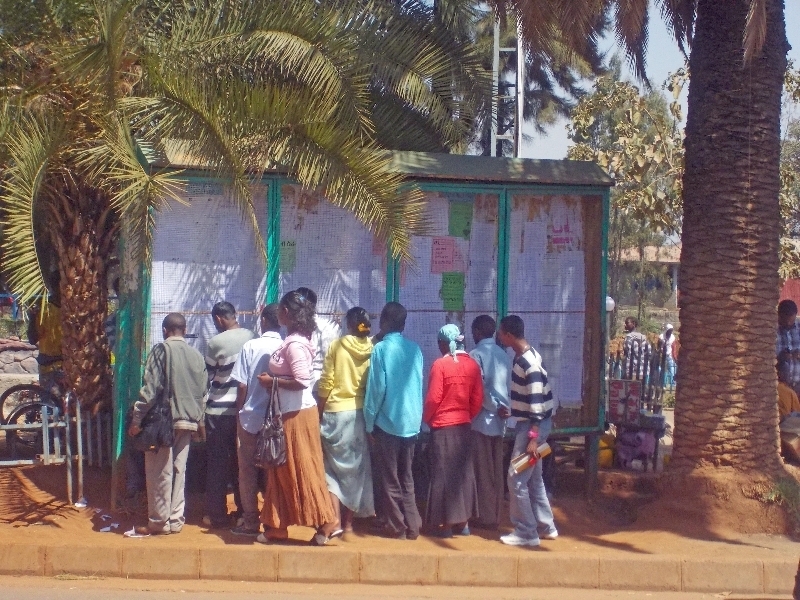 Back on the main street found these folks clustered around a large board. As I looked closer, these were all “help wanted” postings for various employment. 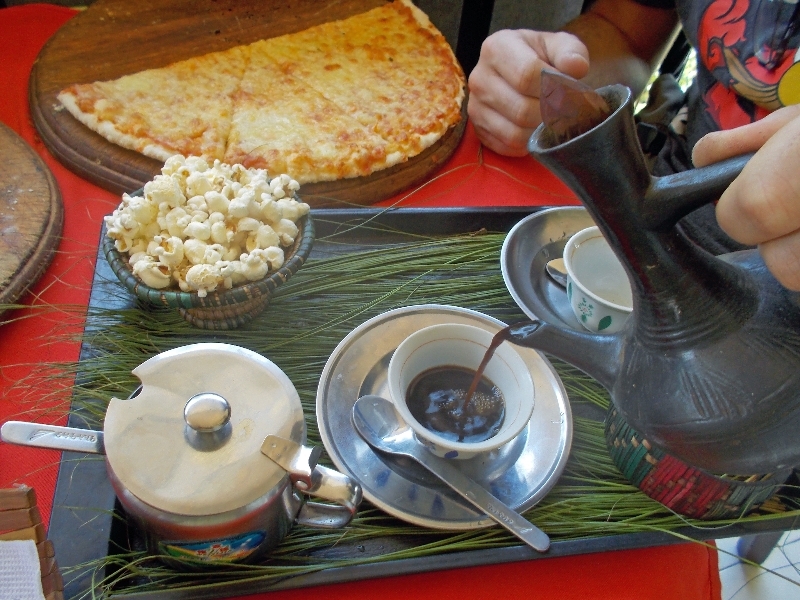 Ethiopia is known for its coffee, freshly ground and roasted. Otherwise a relaxing day. The days ahead should be challenging. 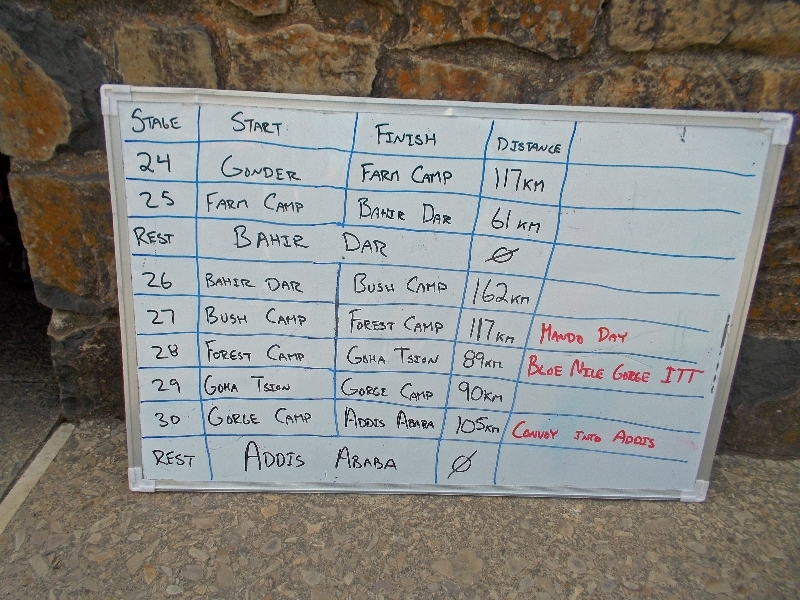 We start with a 160km day, with some Ethiopian hills thrown in for sure; followed by a “mando” day; followed by “the Gorge”, 1600m of descent over 12km followed by the equivalent climb (in time trial) up the other side. So otherwise saving some energy and getting ready for the ride.